Do you remember when Amazon first launched their dash buttons? Back in 2015, Amazon confused the world with their announcement which many thought was an April Fool’s Joke due to being announced on March 31. However, it wasn’t a joke, and these handy little buttons let you order everything from laundry detergent to paper towels at the push of a button. Now, it seems, Amazon are getting rid of their dash buttons once and for all. As of February 28, 2019, Amazon have stopped selling their dash buttons to customers. What was once offered up for Prime customers as an easy way to replenish items they used often, has now become obsolete. But why the change of heart? Weren’t these almost gimmicky buttons doing as well as the online retailing giant had hoped? Well, it turns out that it may all be down to Alexa. In a statement from Amazon, a spokesperson explained that they’ve noticed people are mainly using Alexa Shopping and similar programs more than the weird and wonderful dash buttons. 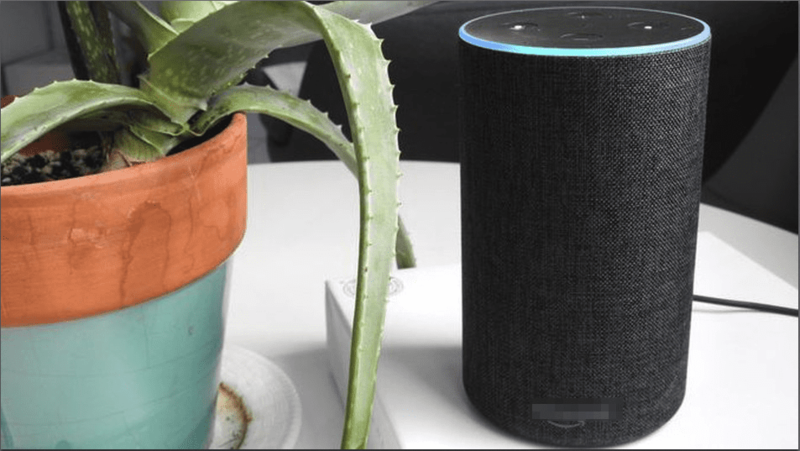 Combined with Subscribe & Save, Alexa Shopping allows customers to have “a hands-free shopping experience” that also enables them to receive deliveries of their most-used products every month. 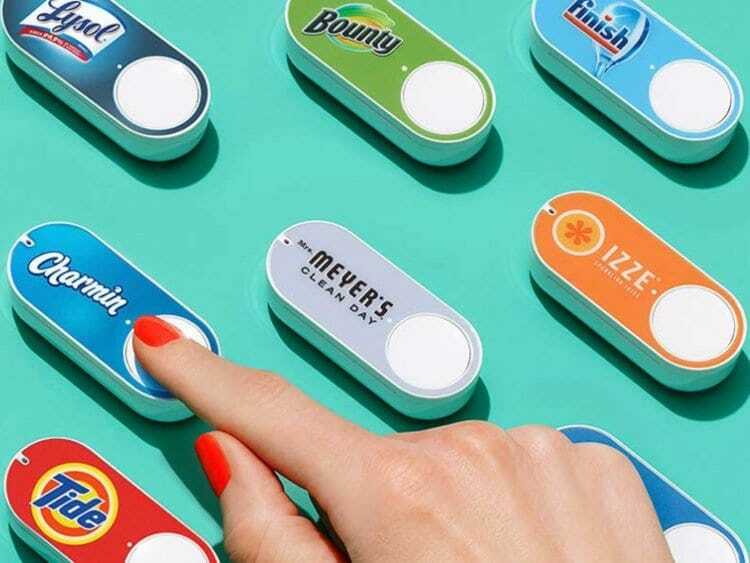 However, there may be another reason why Amazon have recently pulled their physical dash buttons from the market. Back in January of this year, Germany actually ruled these buttons illegal as they broke consumer protection legislation. As customers were unable to see relevant information or a price before they purchased, it was decided that it violated German law and the buttons were pulled. It’s not all bad news, however, as those that already have dash buttons will be able to use them. You can also find digital versions of the dash button on the Amazon website, which you can use much in the same way. 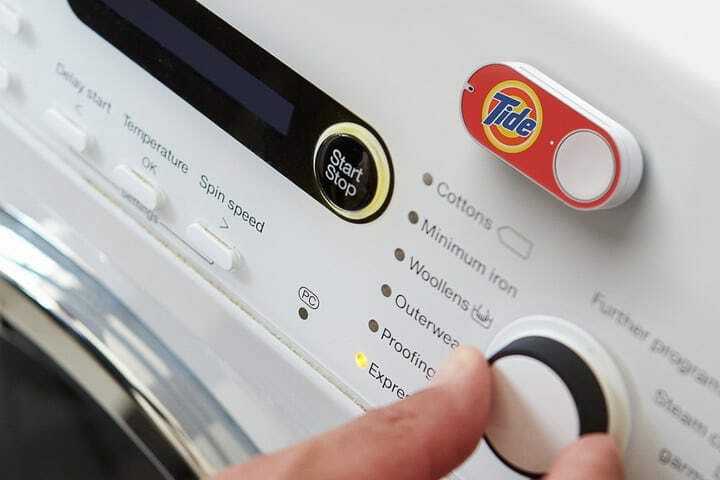 The only difference is you can’t stick these dash buttons to your washing machine and order laundry detergent at the push of a button… However, is that such a bad thing?